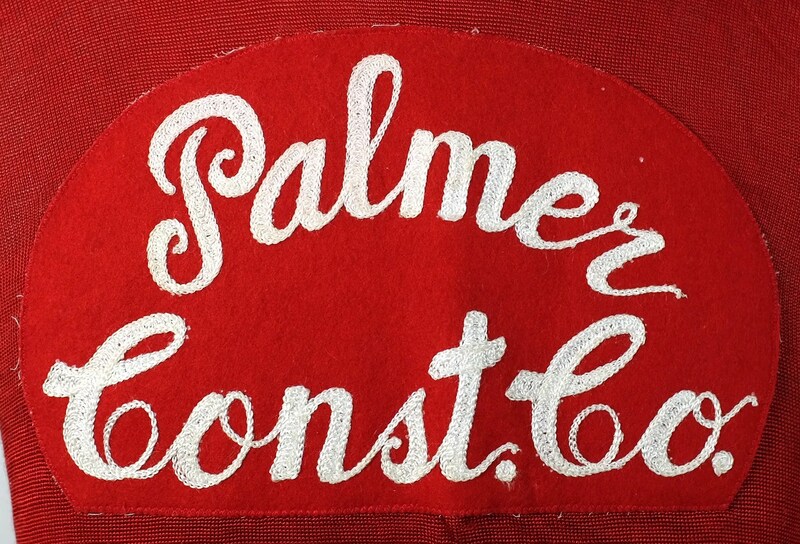 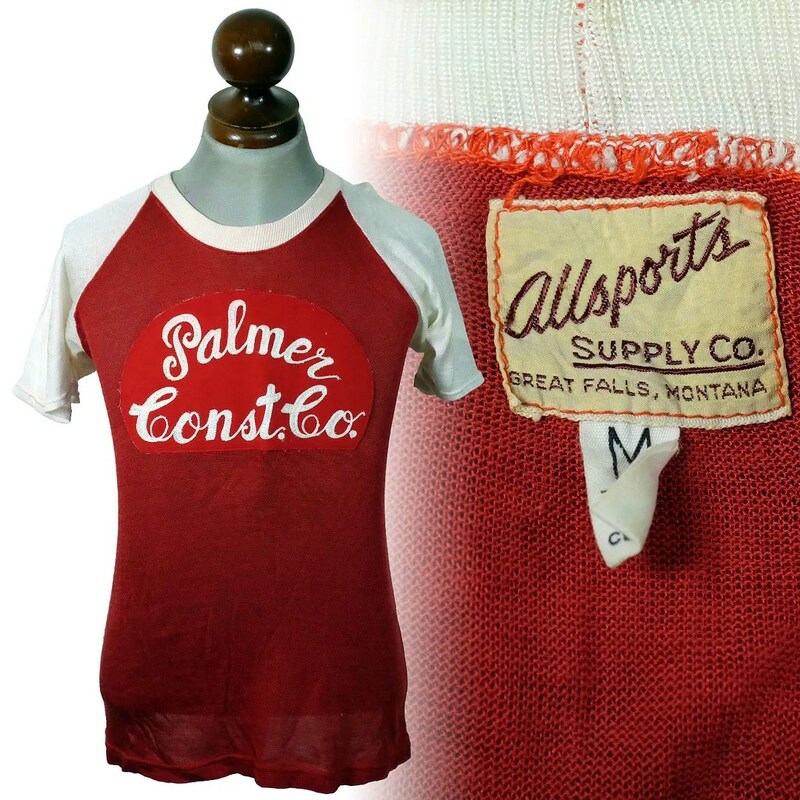 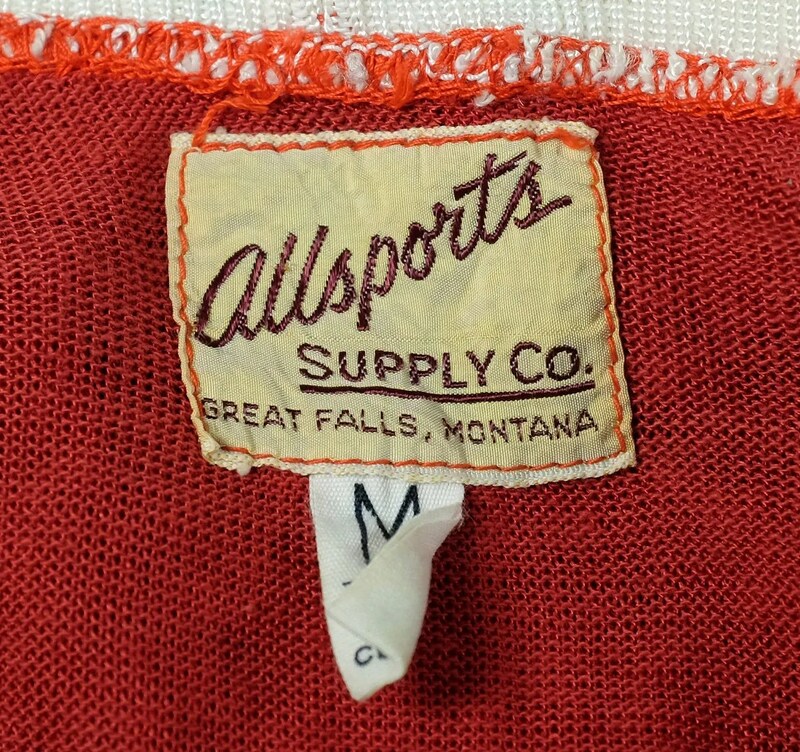 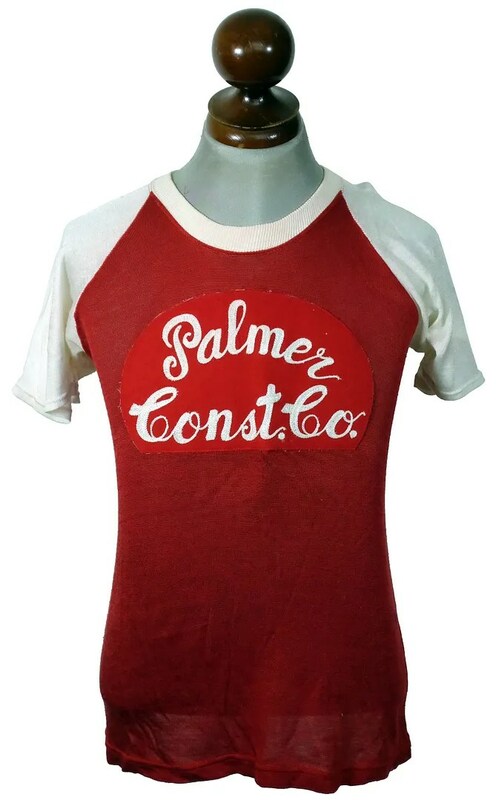 This vintage jersey was made in the 1950s in Great Falls Montana by the Allsports Supply Co for the Palmer Construction Company. 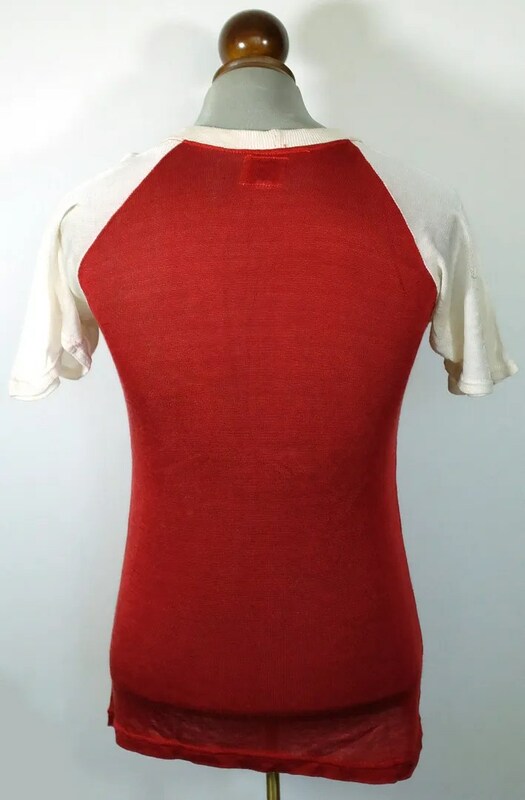 It is two tone red and white with raglan sleeves and a chainstitched felt patch on the chest. 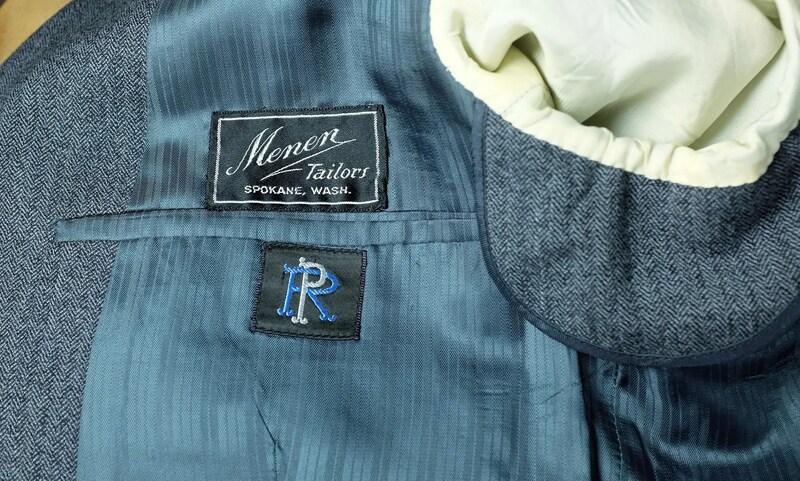 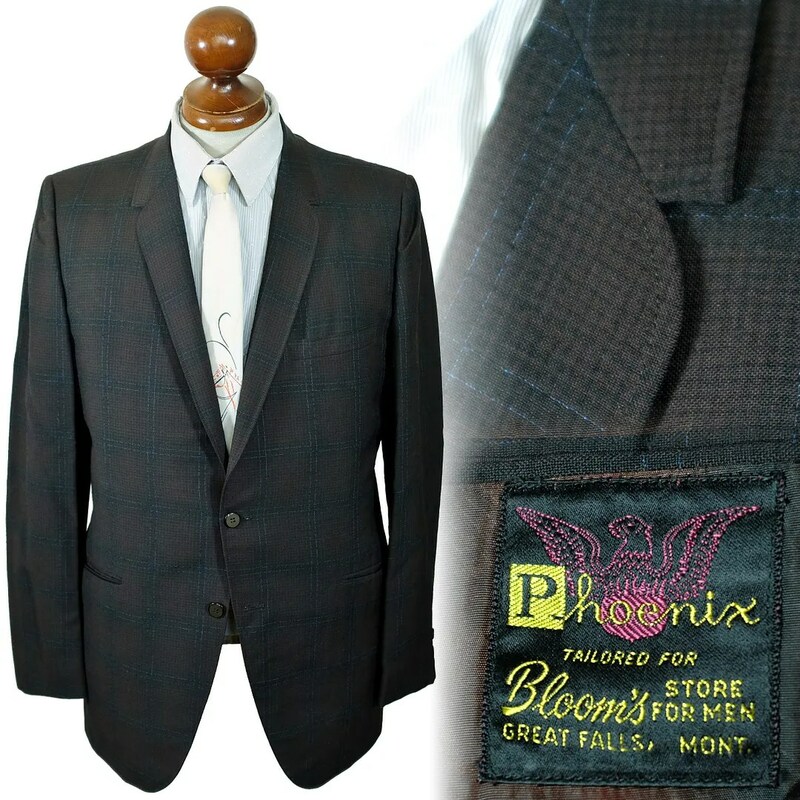 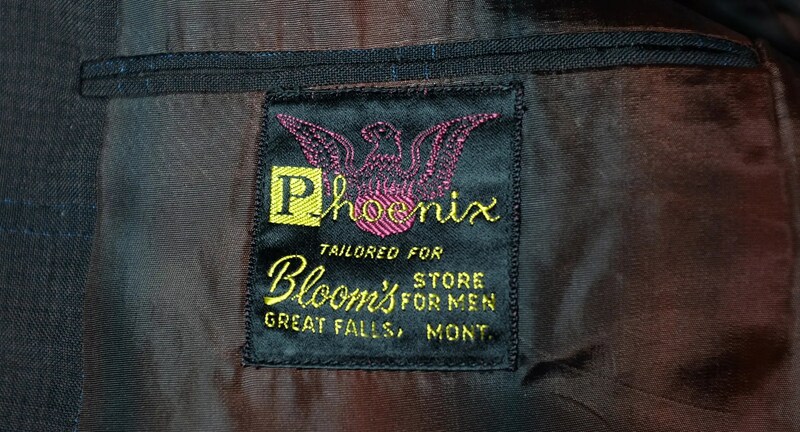 This vintage jacket was made in the 1960s by Phoenix for Bloom’s store for men, Great Falls, Montana. 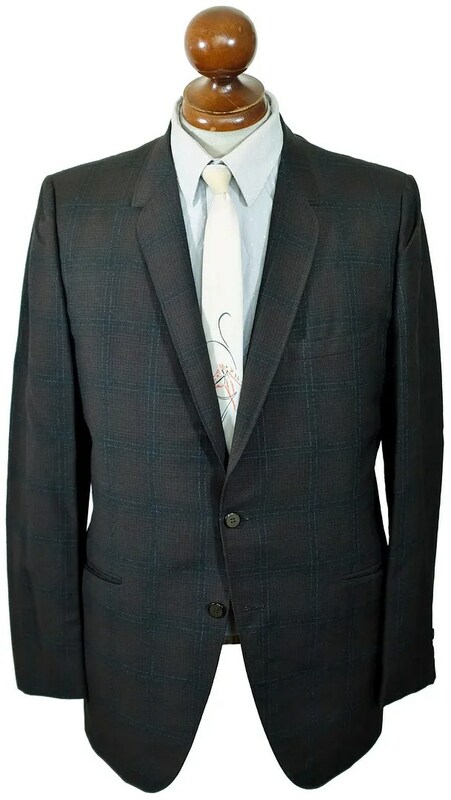 It has a great, slubby, textural brown and blue muted plaid. 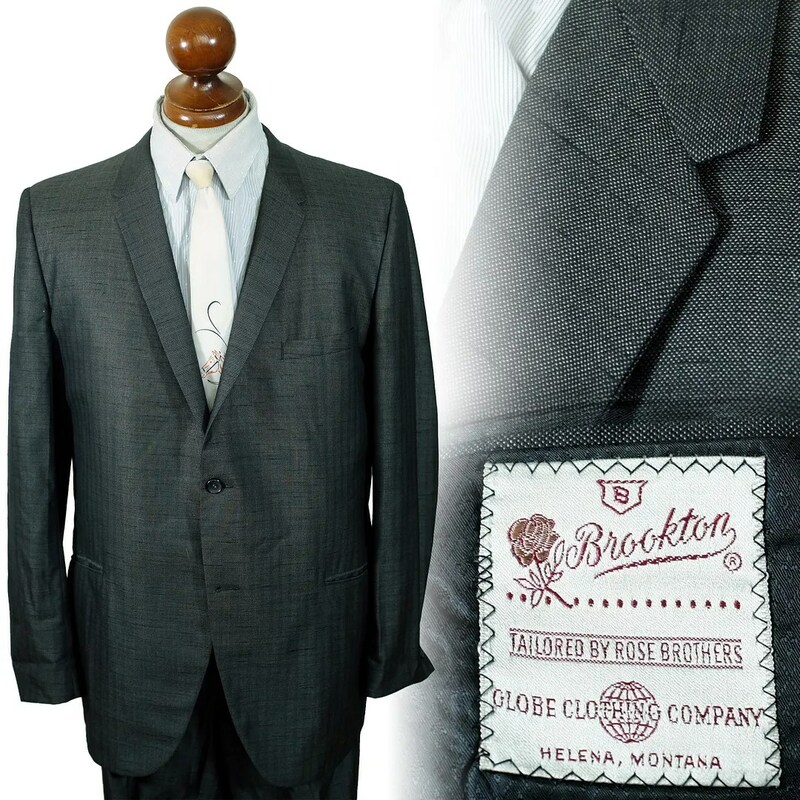 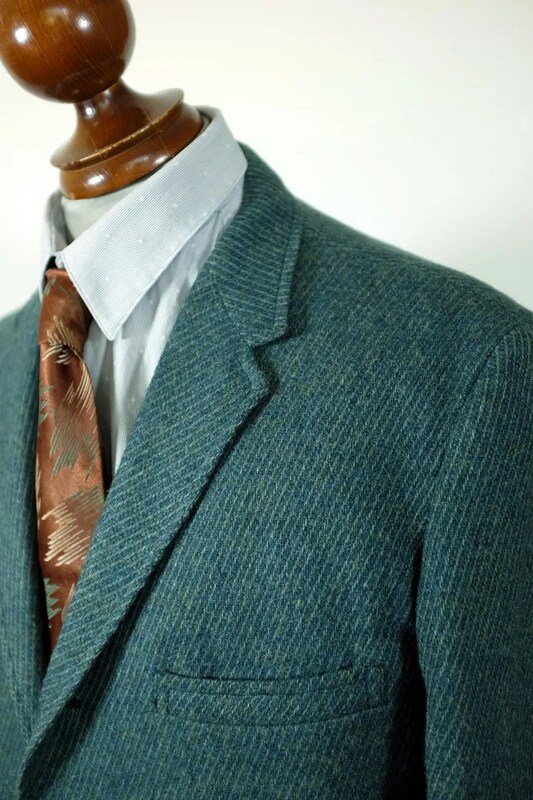 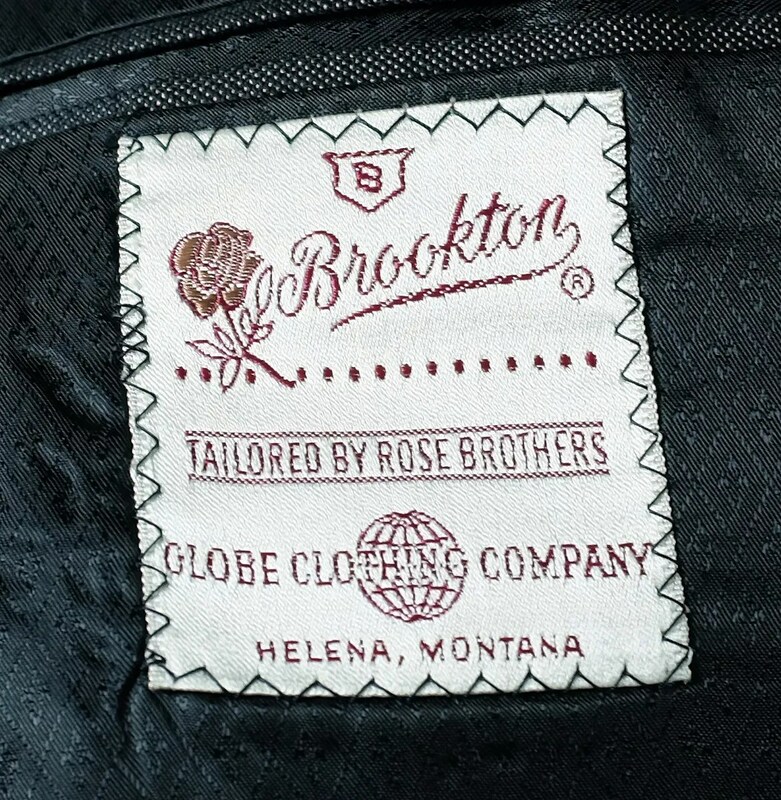 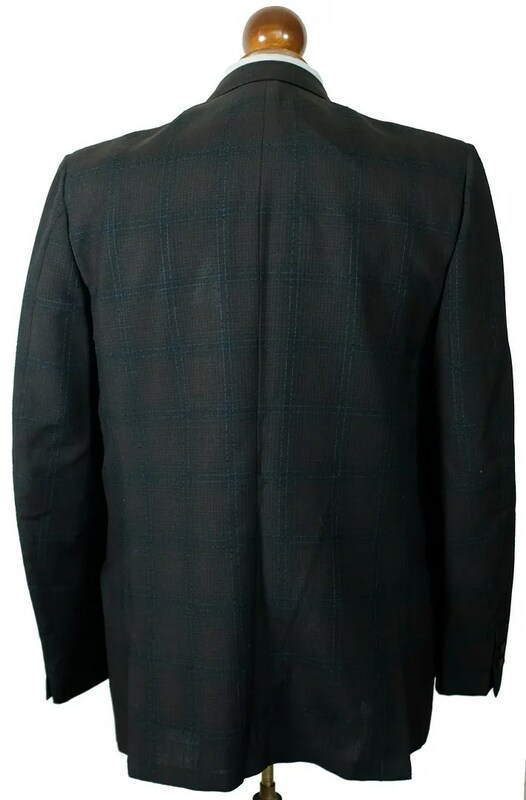 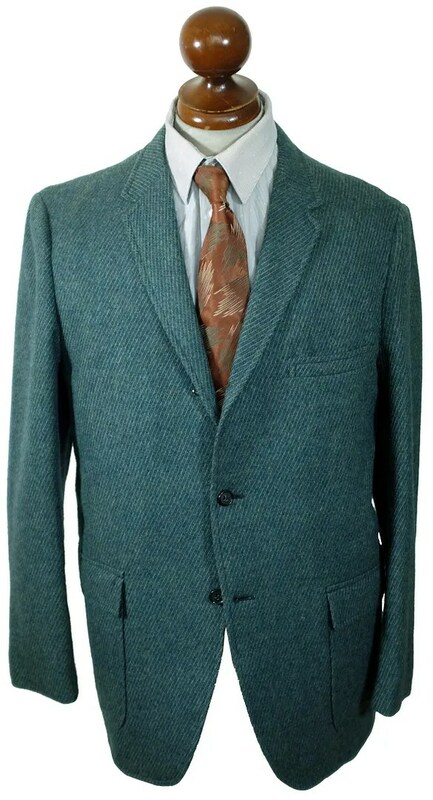 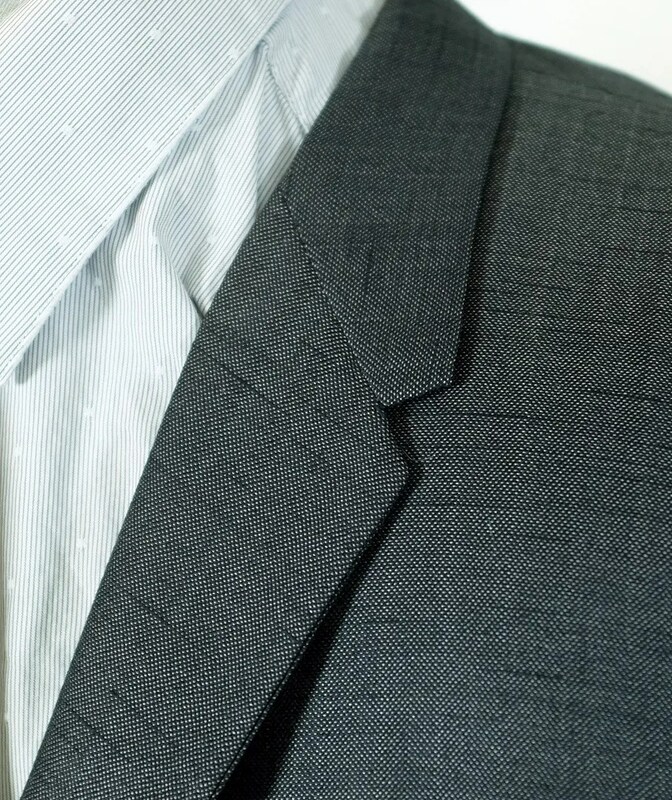 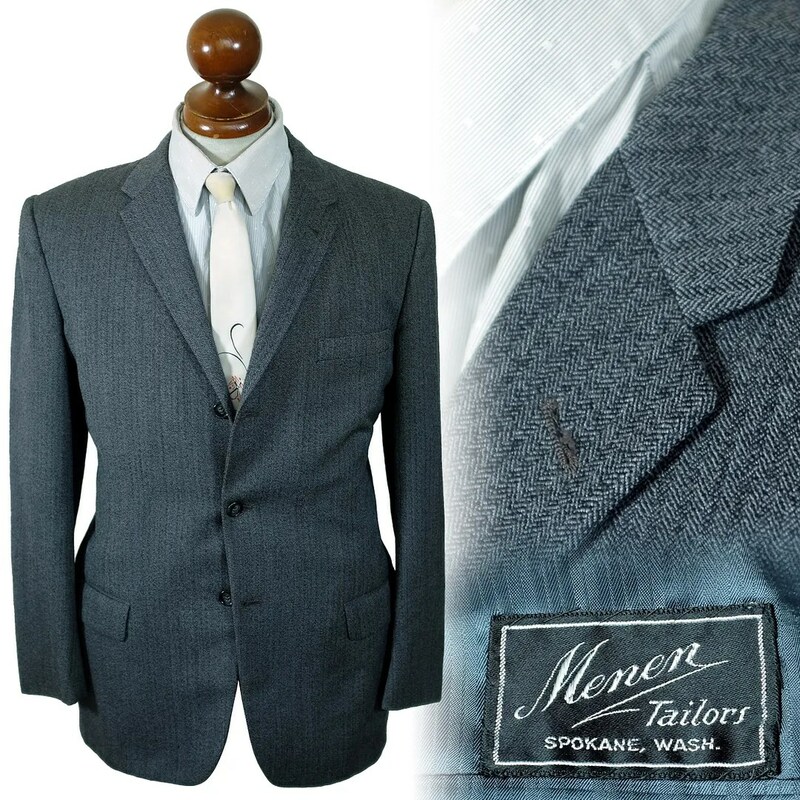 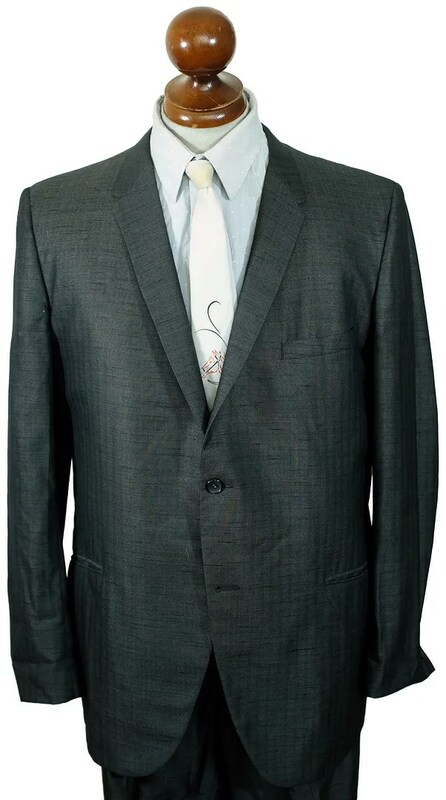 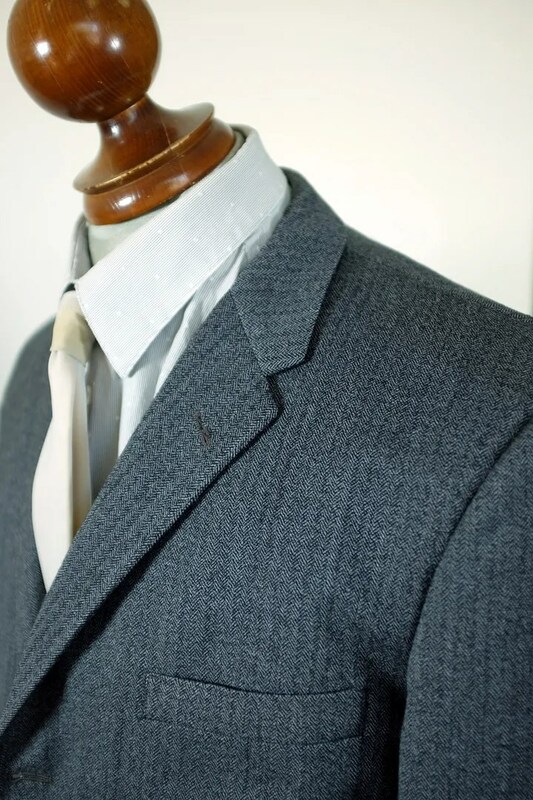 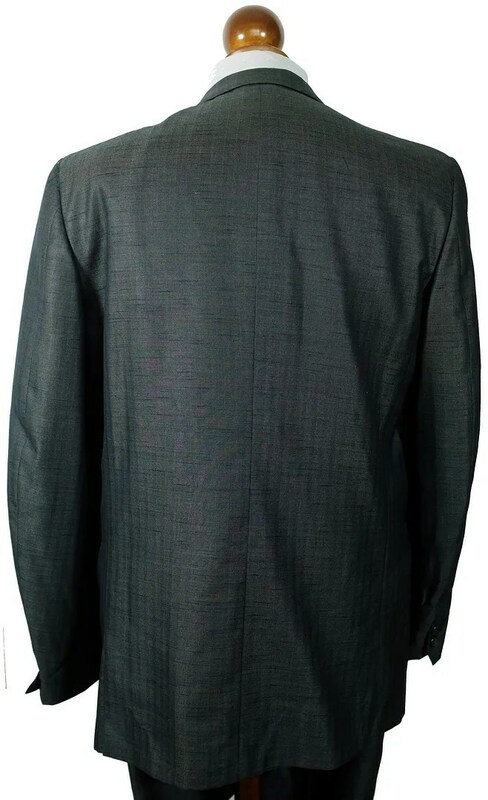 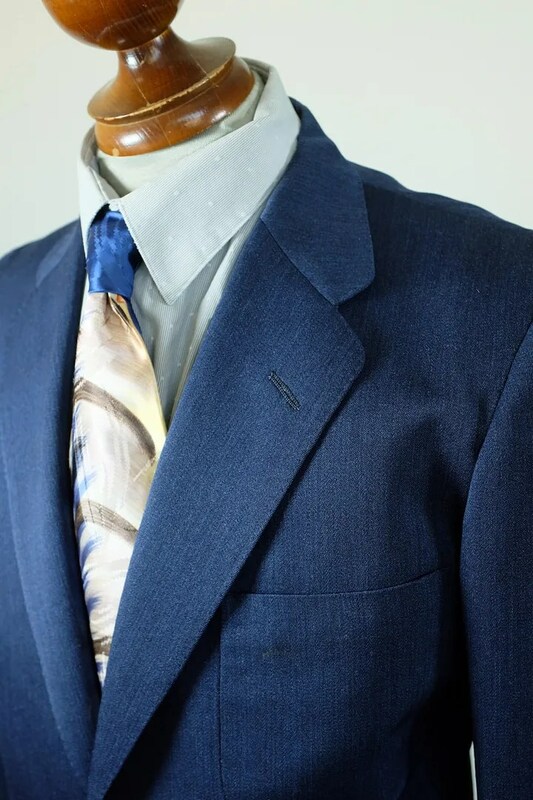 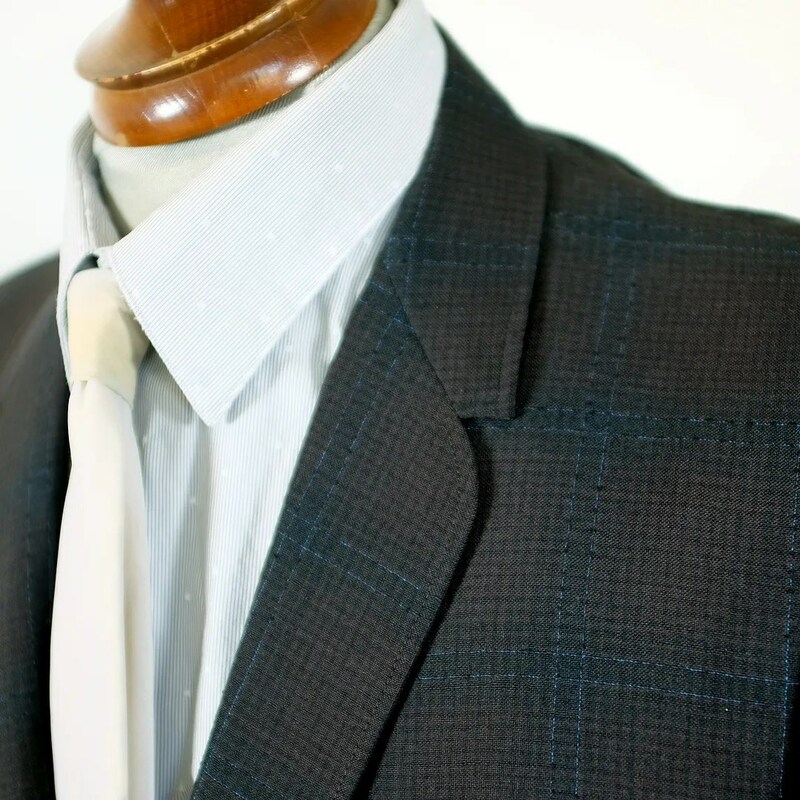 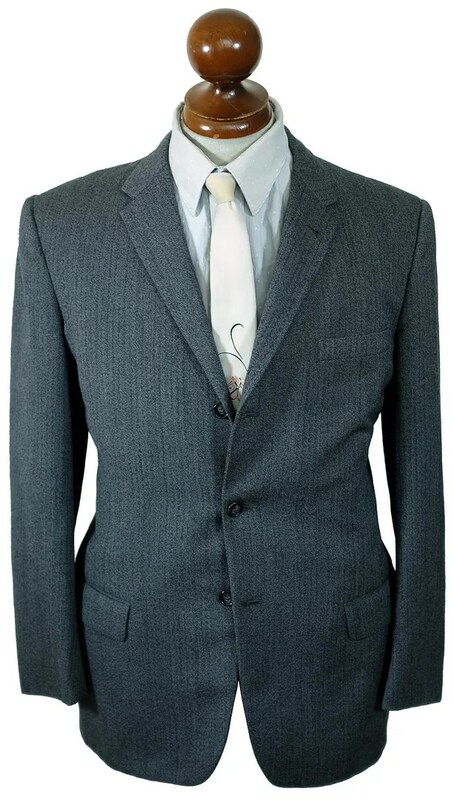 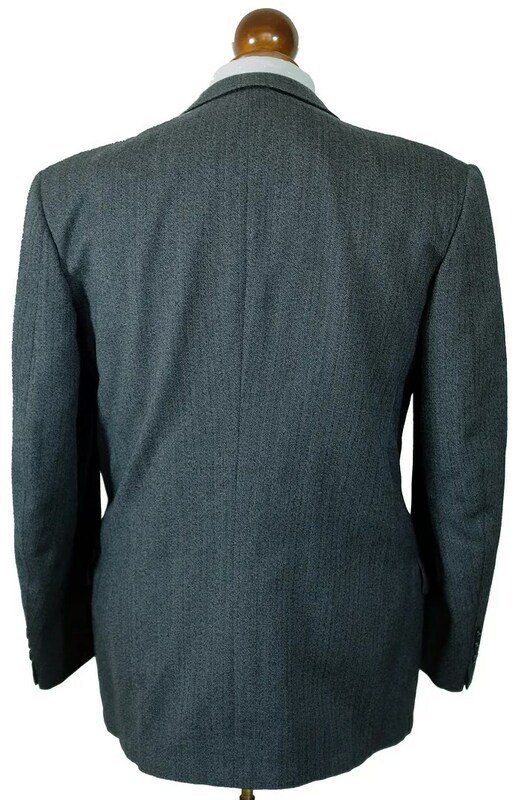 This vintage suit was made in the 1960s by Rose Brothers under the Brookton label and was sold by the Globe Clothing Company of Helena, Montana. 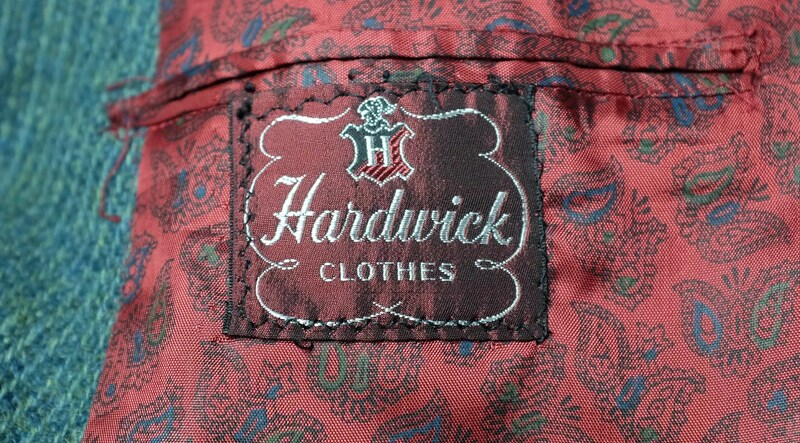 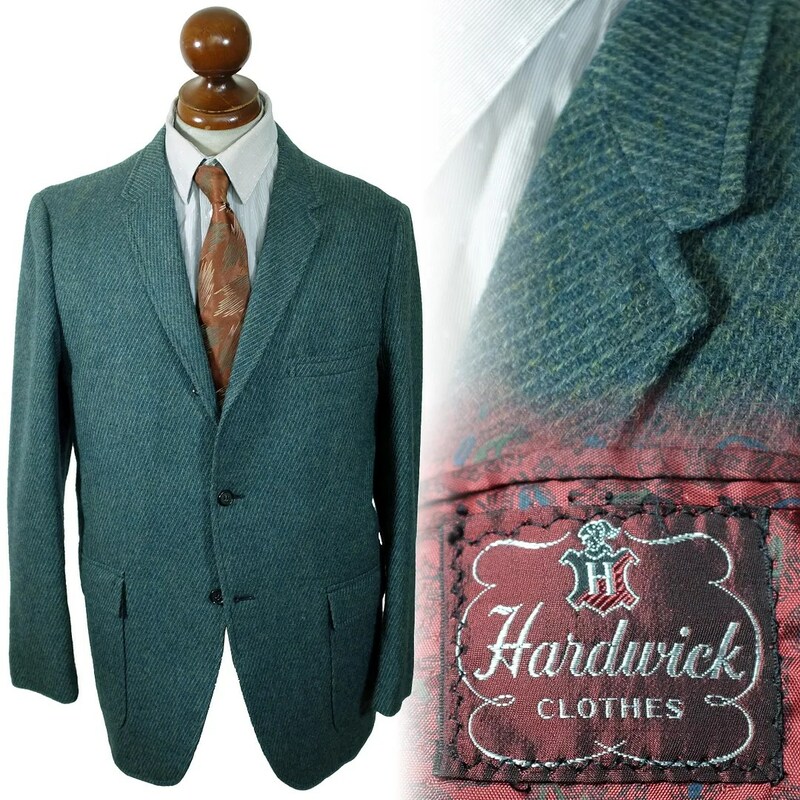 This vintage jacket was made in the 1960s by Hardwick Clothes. 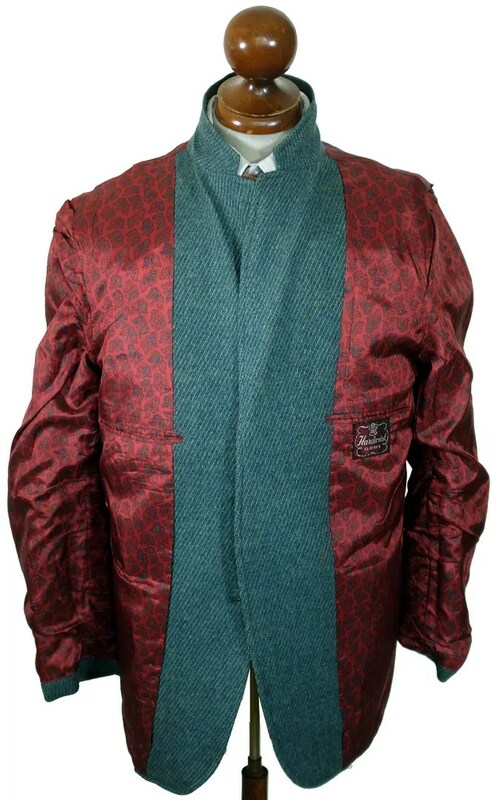 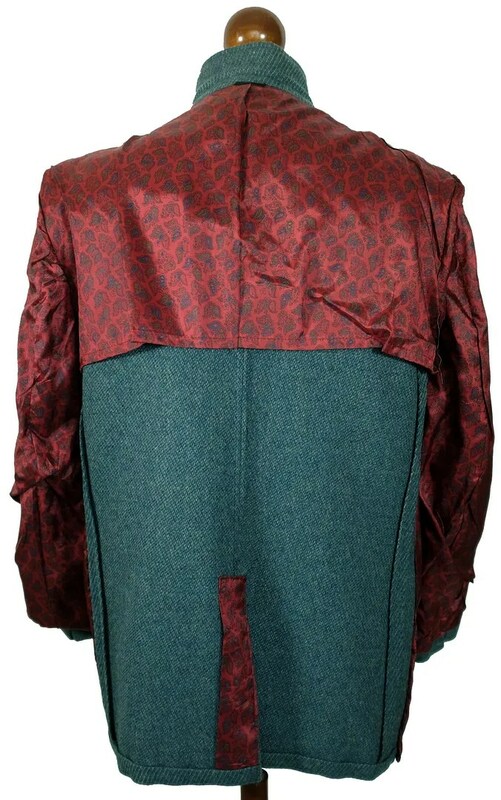 It is made of a bold blue gren tweed with a red paisley half lining. 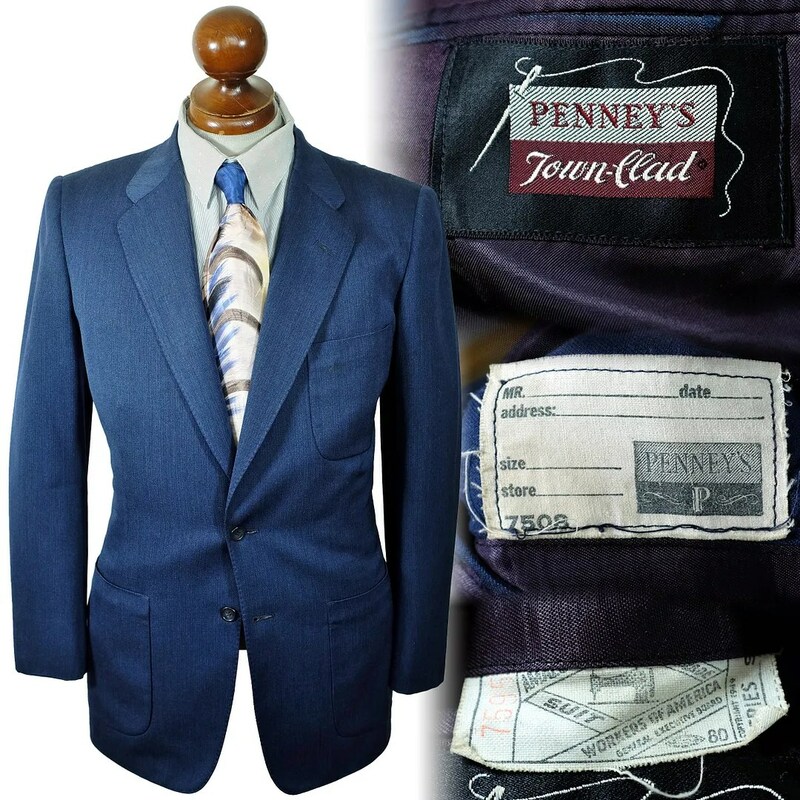 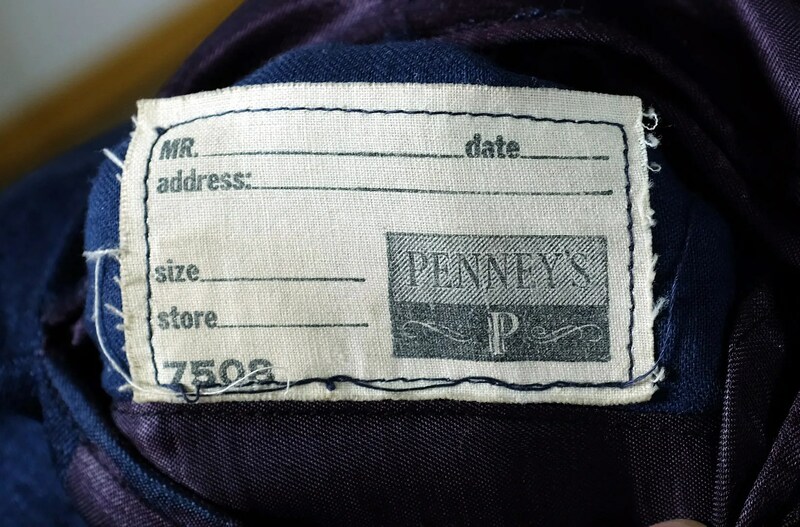 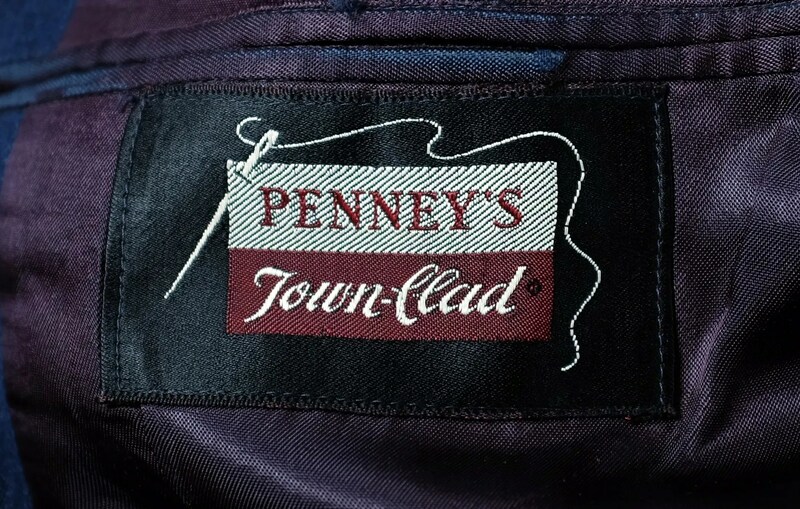 This vintage jacket was made in the 1950s and was sold by Penney’s under the Town-Clad label. 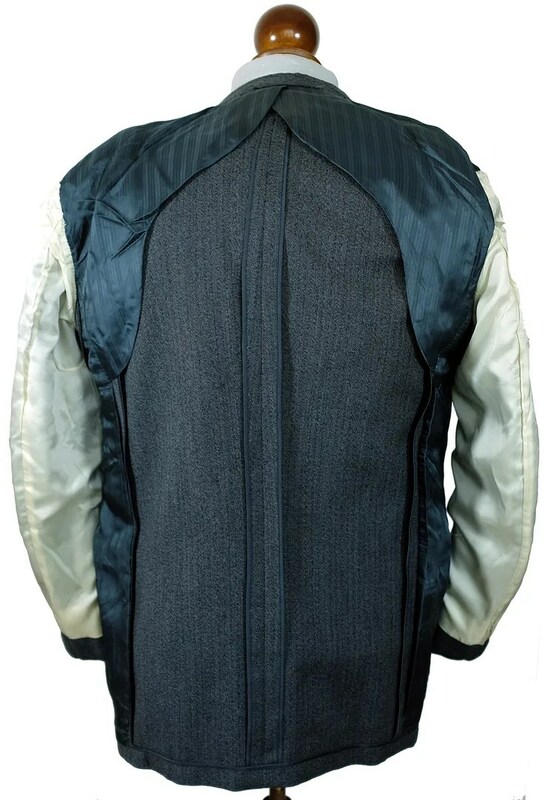 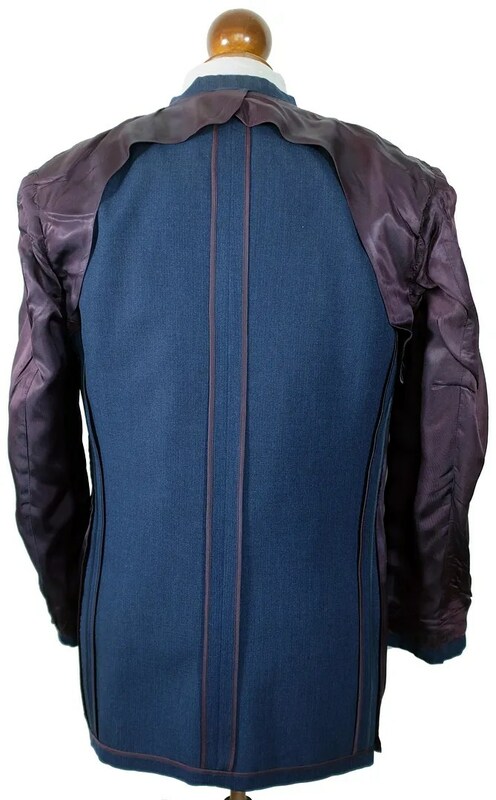 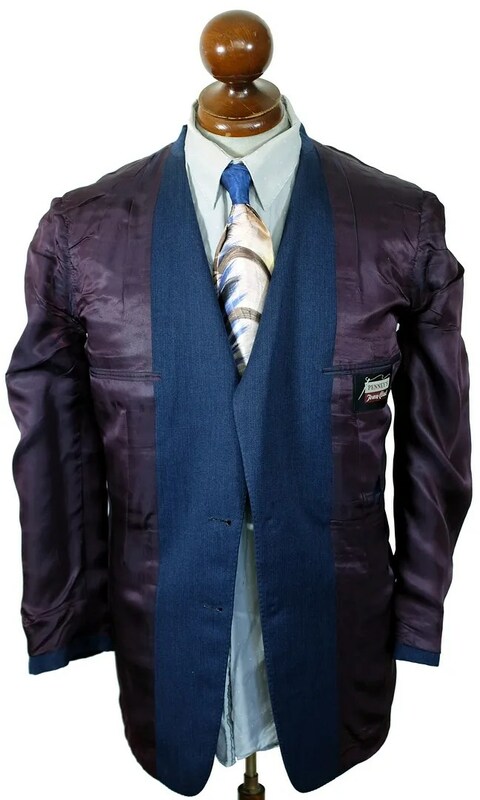 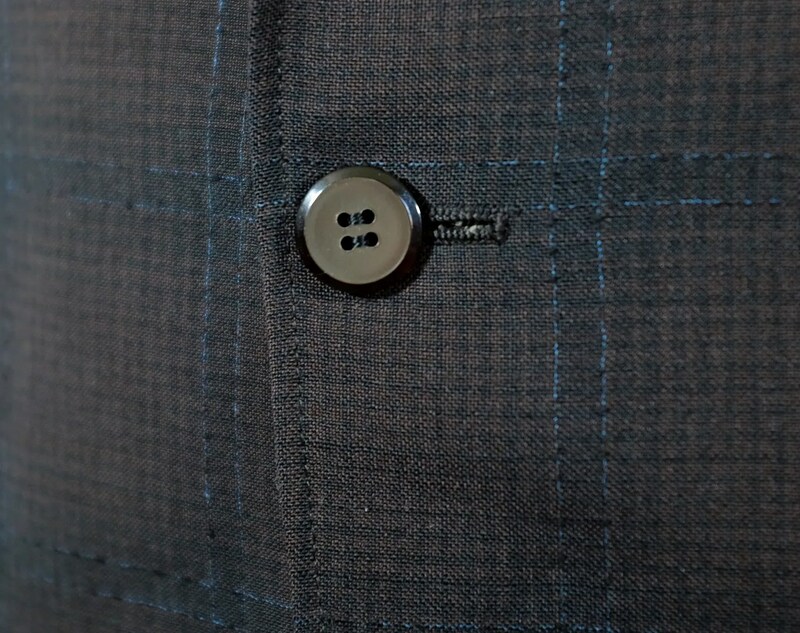 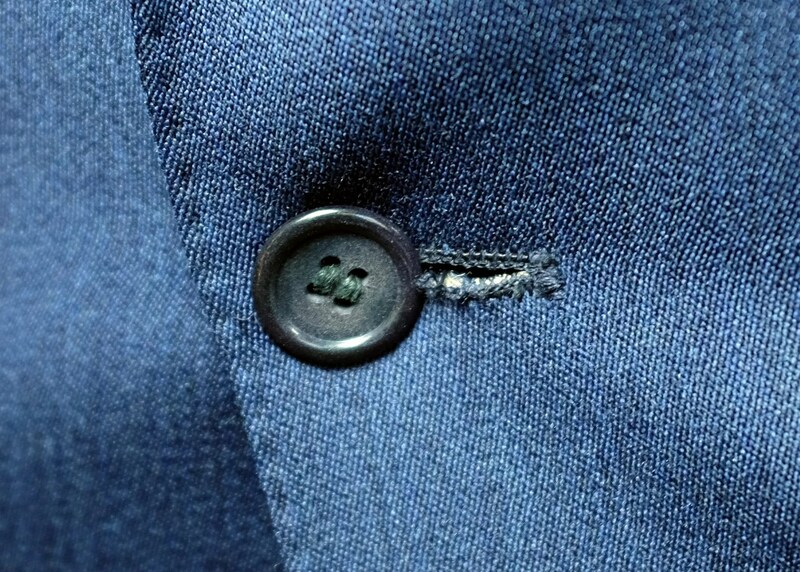 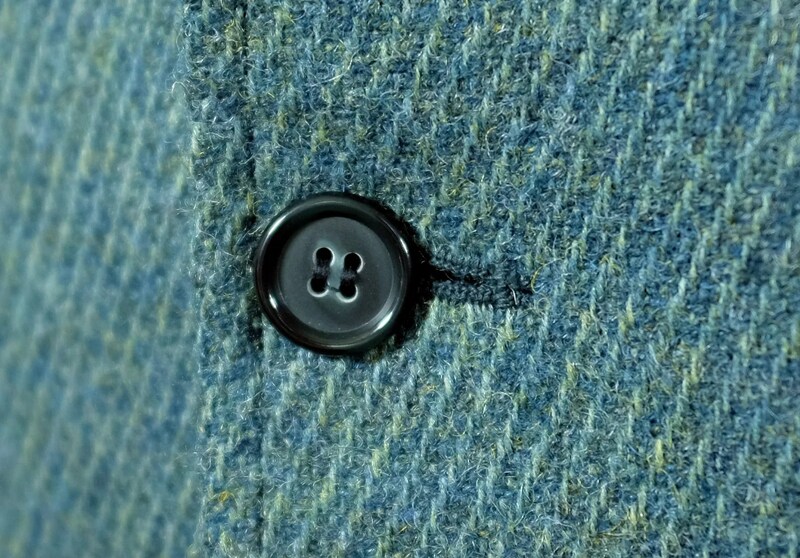 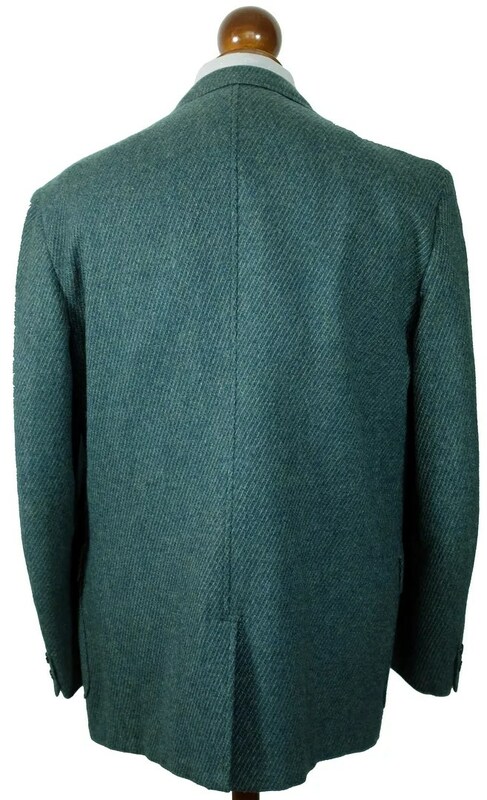 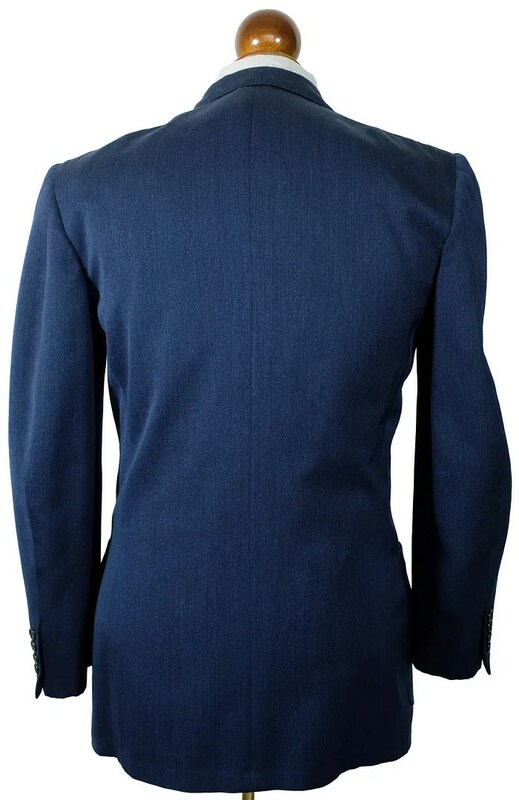 It is made of blue wool, and is single breasted with patch pockets, rounded lapels and a two button front. 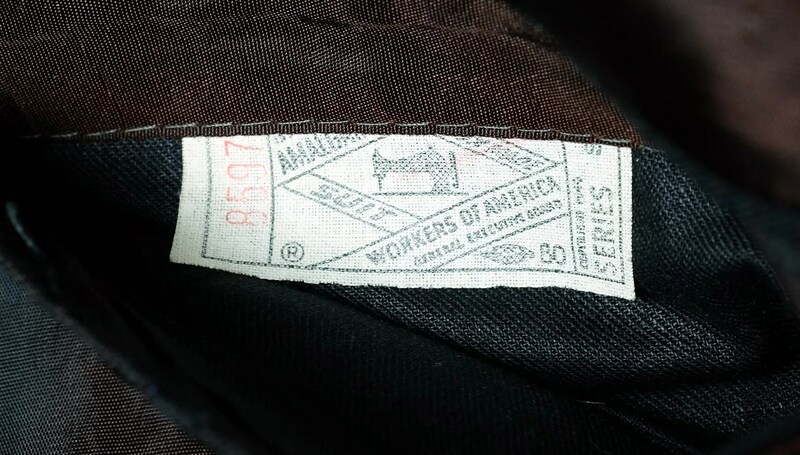 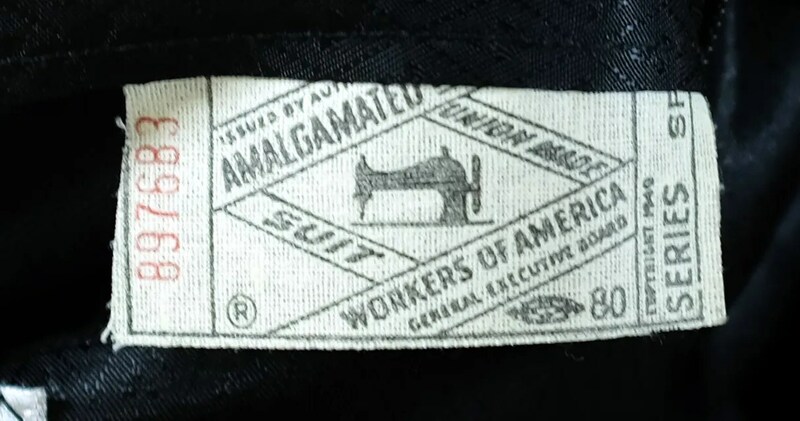 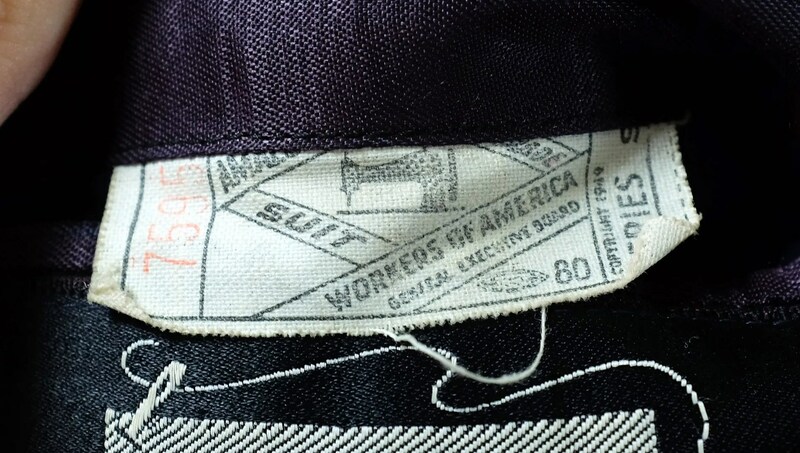 It bears a pre (R) 1949 union tag. 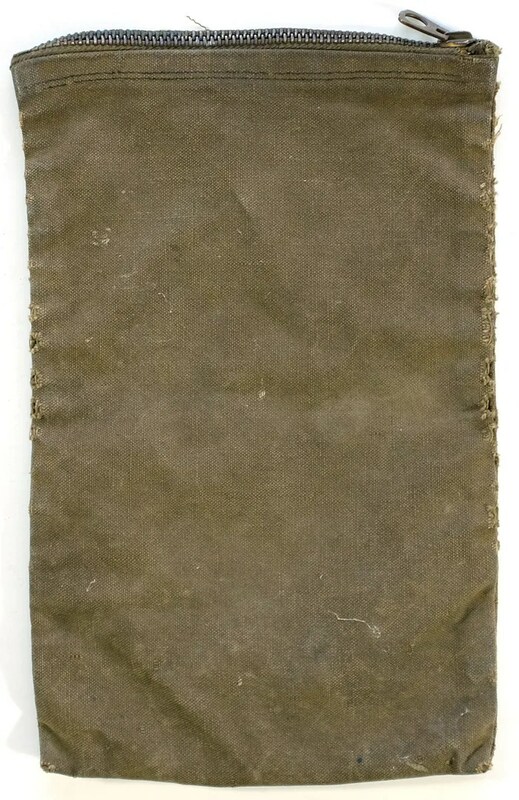 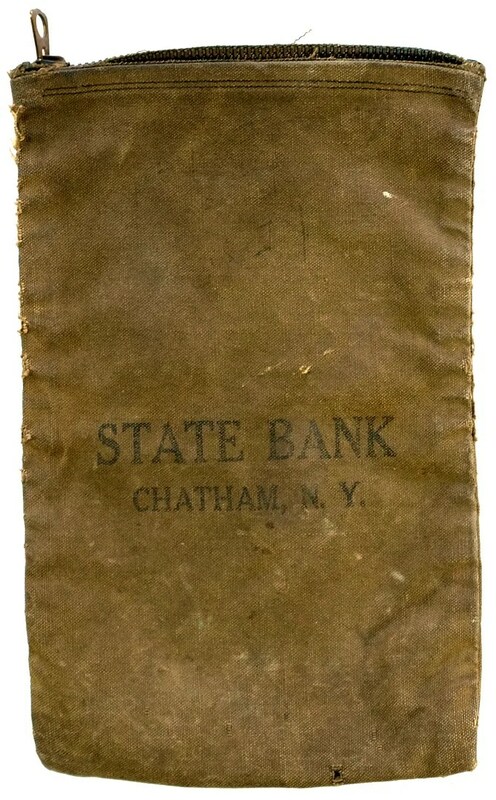 This vintage bank bag was made in the mid 1930s. 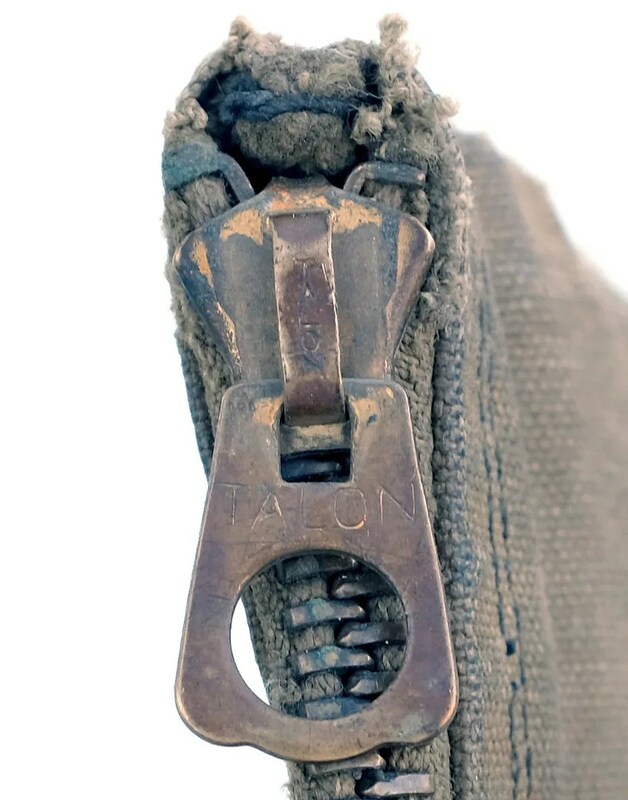 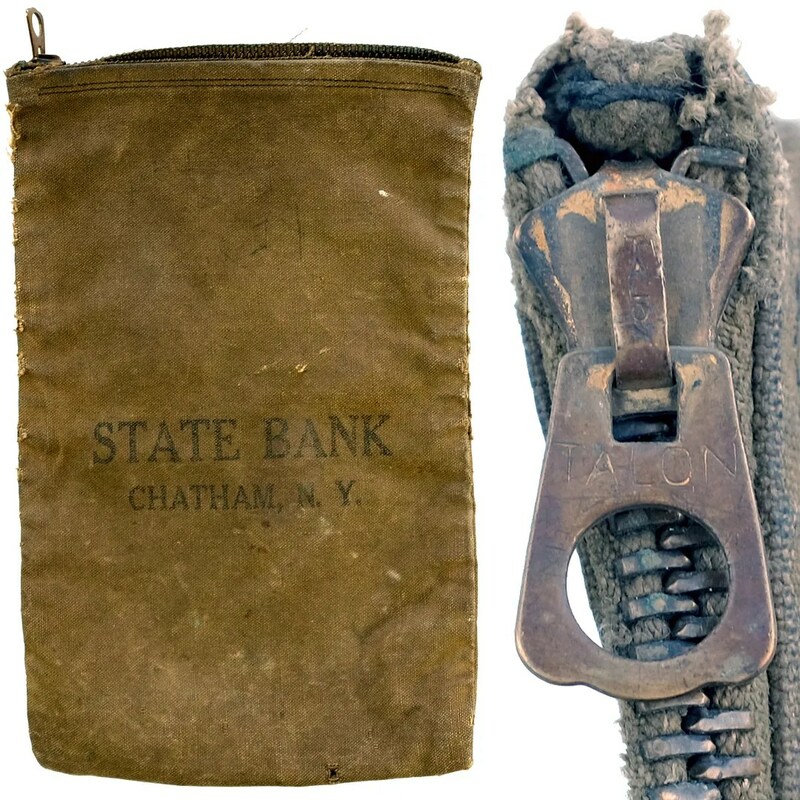 It is canvas, is marked State Bank Chatham, NY, and closes with an early Talon zipper, with a round holed slider which was a re-tooling of earlier Hookless marked dies.